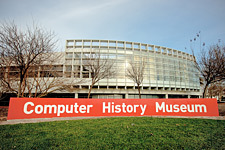 Receive email updates about what’s happening in Santa Clara. 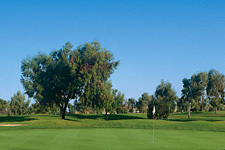 Santa Clara has a wide variety of offsite meeting and event venues. 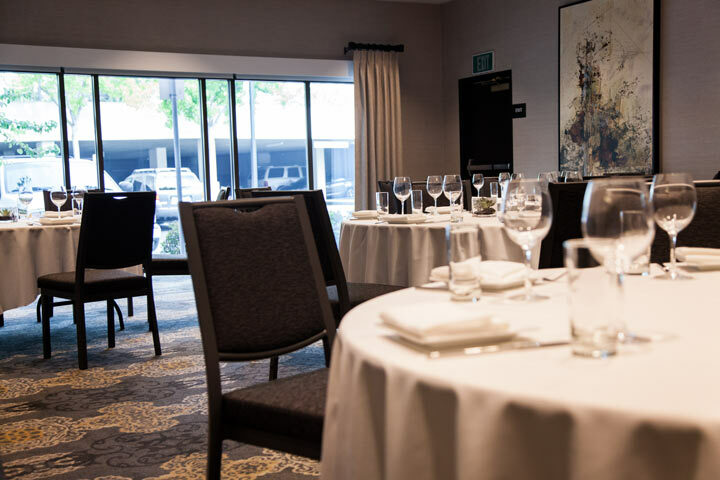 See below for ideal location to host your group to a fun day or night out in Santa Clara -the Entertainment Capital of Silicon Valley! Set amongst the beauty of the Mission Garden and in the shadow of the historical Santa Clara Mission Church, the Adobe Lodge is a true hidden gem. One of the remaining original buildings left on the Santa Clara University campus, the Adobe Lodge offers a serene atmosphere for all those who wish to visit. 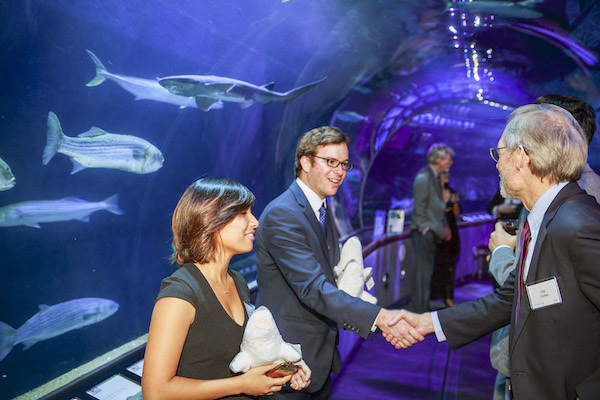 Aquarium of the Bay provides a unique and unforgettable venue for cocktail receptions, mixers, product launches, presentations, and meetings. Whether it is a fun-filled team-building event, a Board meeting, or a product launch, this unique location has the event staff that can help you plan the event of your dreams. The name itself conjures up images of sack races, barbecue and good old-fashioned gatherings. Adjacent to the world famous George F. Haines International Swim Center, you can take a dip, host your own Olympi by the medal-winning Aquamaids. 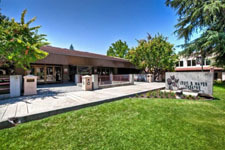 Located in the heart of Silicon Valley, our Santa Clara facility offers over 26,000 square feet of flexible meeting space. The perfect event center for holiday parties, company picnics, grad night, meetings, weddings & more. The space can be configured to accommodate most any group gathering. If you’re craving something unique for a corporate or private party, this 10,000 sq. ft. venue space provides the ideal location for any occasion. 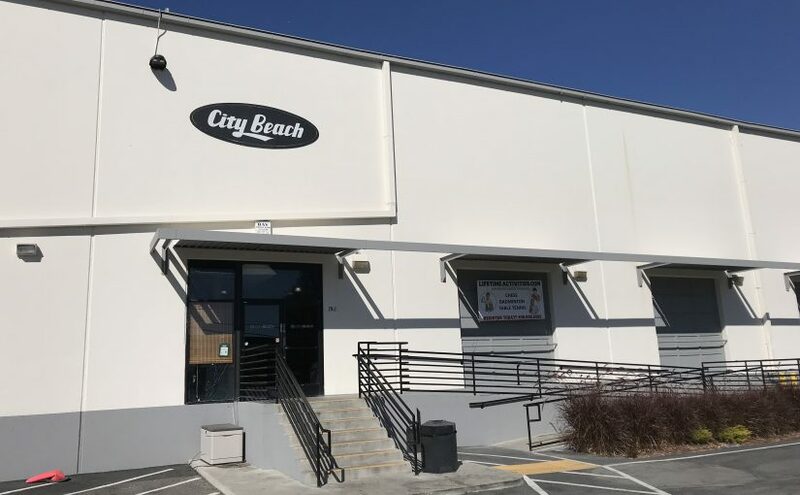 The event center features a vibrant clubhouse showroom and sleek lounge bar, along with flexible space that can accommodate small, large, indoor, outdoor, day or evening events or a combination of all. 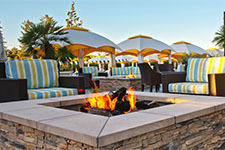 Conveniently located next door to the Santa Clara Golf & Tennis club, the conference facility accommodates meetings up to 500 people in a beautiful setting. 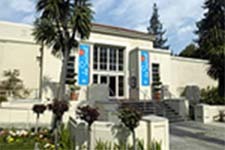 Situated in the heart of Santa Clara University’s campus, the museum is a beautiful and convenient venue to hold a wide range of events. 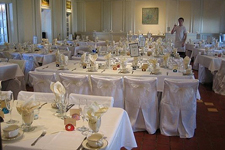 It can accommodate 112 for sit down dining, and 300-450 for a standing only reception. 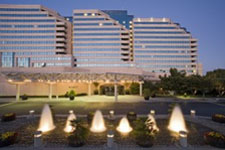 Near Levi’s Stadium, the Embassy Suites features 4,400 sq. ft. of total meeting space with the largest meeting room 925 sq. ft. 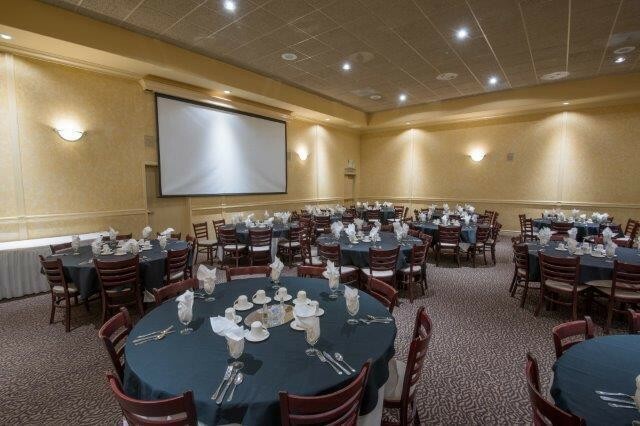 Private banquet facilities seat up to 175 guests along with a dance floor and room for a band or disc jockey. Fiorillo’s also offers two state of the art 167 inch fully automatic screens with theatre surround quality projectors and surround sound. Private functions are also available on Sundays and Mondays, and restaurant will close for parties of 100 or more. 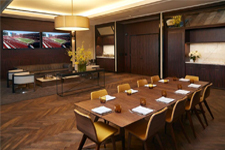 Private Dining Rooms are equipped with a Cisco® conferencing system for video connection. Rooms provide 80″ recess TV with a video conferencing camera, 114″ ceiling mounted retractable screen and drop down projector for presentations, house audio speakers, and dedicated wireless & wired internet connectivity +10MBPS. 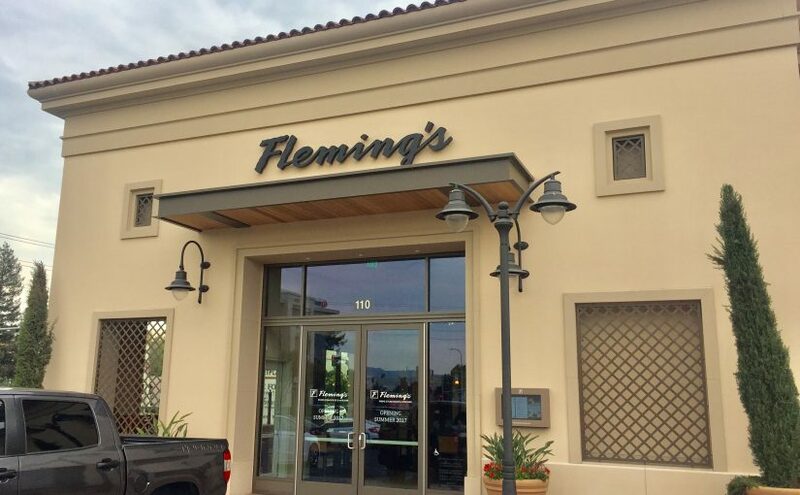 Private Dining Room Capacity: Trinchero: 25-30 Guests; Duckhorn: 30-35 Guests; Sterling: 60-65 Guests; Outdoor Patio: 46 Guests. 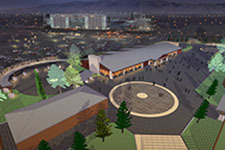 Pavilion features a 2-acre site with indoor and outdoor capabilities, 18,000 sq. ft. venue open year-round, 37 monitors, Wi-Fi and internet connectivity, live entertainment and interactive display opportunities, floor-to-ceiling stone fireplace, divisible into three unique venues, 500 person covered outdoor event space adjacent to pavilion, and neighboring Levi’s Stadium. 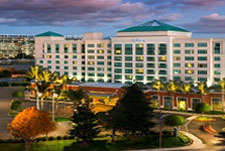 Hotel located within walking distance of Levi’s Stadium has 7,000 sq. ft. of meeting space with the largest meeting room 2,835 sq. ft. The hotel also features the award winning La Fontana restaurant. Total meeting space is 60,000 sq. ft. 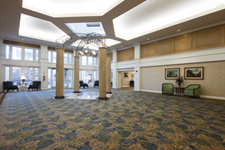 The hotel’s largest meeting room is 22,568 sq. ft. The hotel also features the Evolution Café & Bar and TusCA Restaurant. 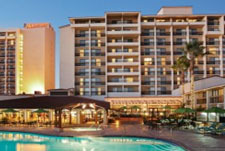 II Fornaio at Santa Clara Square is just over a mile from the Santa Clara Convention Center and full service hotels. Private dining areas seat up to 80 guests. 2772 Augustine Drive Santa Clara, CA 95050. 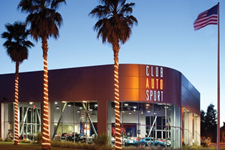 Entire facility is available featuring over 2,000 sq. 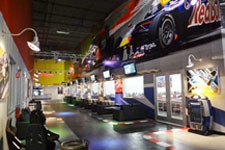 ft. asphalt race course, night club style lighting and audio, free use of large 150 car lot capacity, 16 TV’s throughout facility, Electric European Karts, and more. K1 Speed also has meeting rooms that feature wireless internet connections and 110″ display screens that are perfect for presentations along with catering options if you would like to have food and drinks available. 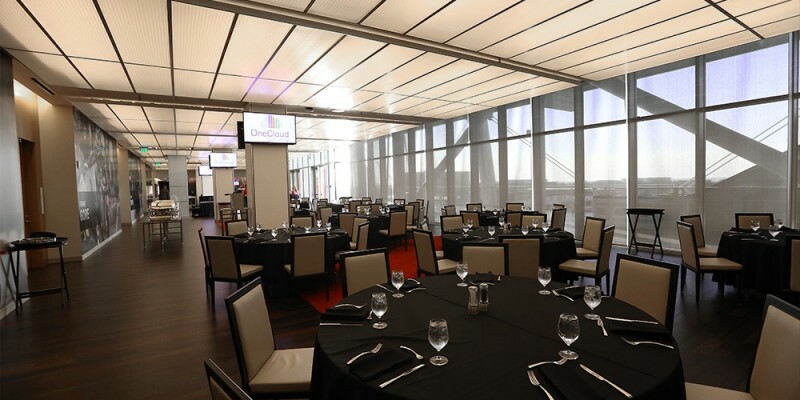 Levi’s® Stadium is perfect for any style of event. With unique spaces and a dedicated event management team, Levi’s® Stadium will ensure that all of your needs and requests are met for each event. 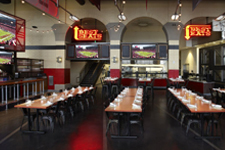 Host your next corporate meeting, corporate reception, wedding, birthday party, banquet, fundraiser, prom, and etc. 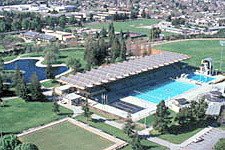 Santa Clara University’s Louis B. Mayer theatre seats 575 and is an ideal location for any event where a stage is needed. 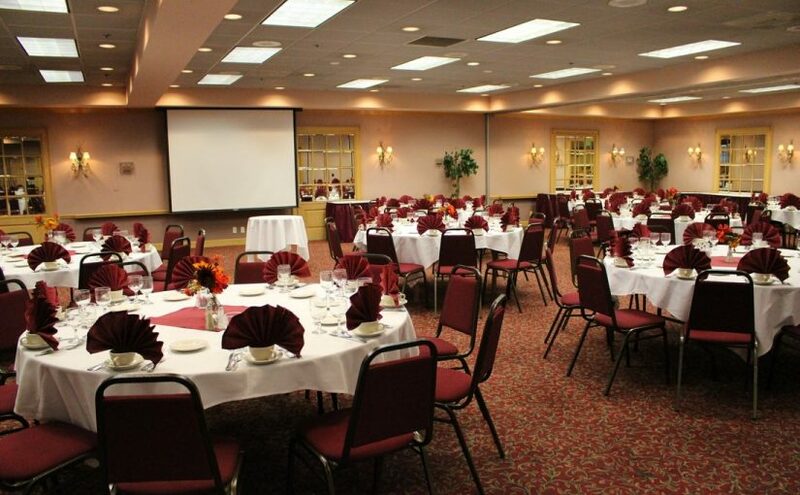 Mariani’s has 4,548 square feet of meeting space, including banquet facilities for up to 400 guests. All-inclusive meeting packages are available. 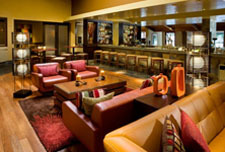 Upscale modern restaurant and bar is a venture of renowned Chef Bradley Ogden. The restaurant’s American-themed menu showcases the finest efforts of local growers, ranches and dairies. 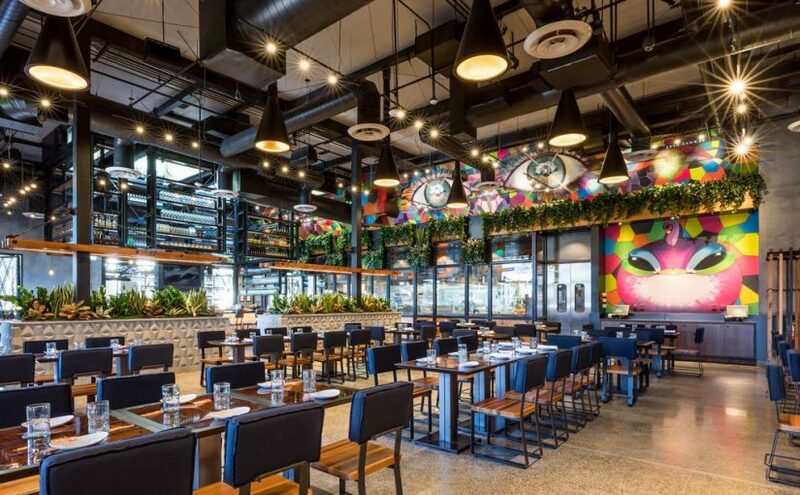 Puesto Santa Clara’s Mexican Artisan Kitchen & Bar is available for complete “buyouts” that can seat up to 600. Also, during operating hours, the restaurant can accommodate up to 100. Email lsullivan@eatpuesto.com. With 18 holes of championship golf, a 35-station driving range, seven lighted tennis courts, pro shop and David’s full-service restaurant, the golf and tennis club is great place to meet and compete. In addition to Parcel 104 restaurant, the hotel totals nearly 30,000 sq. ft. (29,776) of meeting and event space with the largest meeting room 11,837 sq. ft.
Sky High Sports is a unique trampoline fun center. This facility has been designed and created for one purpose: To have FUN! Come and improvise! Whether you flip forward or flip backward, you will definitely flip out for Sky High Sports! You can free-bounce and do tricks all day, or you can join us for some of our organized activities, like our trampoline dodgeball. 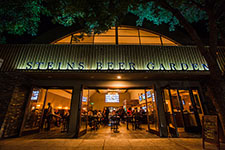 Located in nearby Mountain View, Steins Beer Garden is a modern American take on the classic German Beer Garden. With our 8,000 sq. ft. building along with a 4,000 sq. 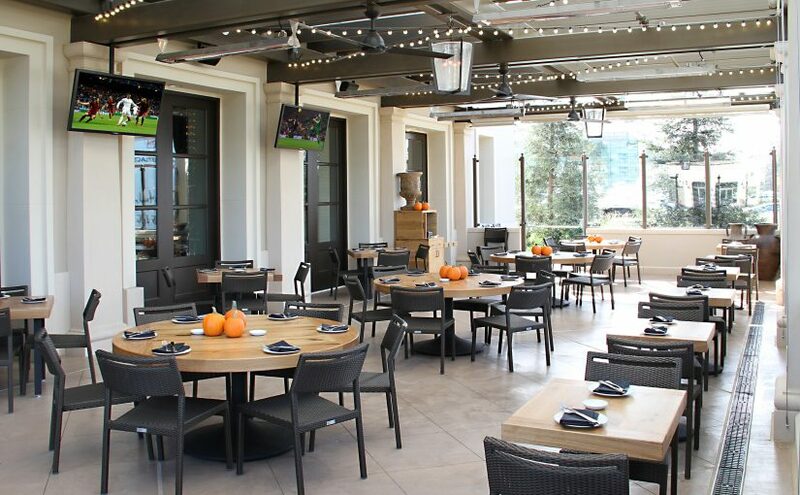 ft. patio, we offer distinct private dining spaces that are ideal for parties ranging from 10-400. We hope we can host your next breakfast buffet, luncheon, seated dinner or cocktail reception. The Tech’s large floor plan and flexible spaces can be transformed into settings for an intimate dinner, a VIP reception or an event for 2,500! The extraordinary Hackworth IMAX Dome Theater is a spectacular addition to events, providing guests with an unforgettable experience. The Techmart Center’s striking and impressive design, matched by a beautiful atrium, provide a professional and stylish environment. The atrium allows sunlight to flood in and the center also features elegant windows with a view of the Santa Clara Golf Course. 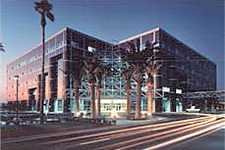 It is adjacent to The Santa Clara Convention Center. 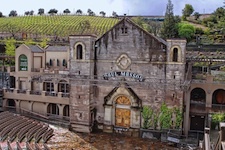 High above the Silicon Valley, where the views are breathtaking and the buildings are steeped in rich tradition and history, stands The Mountain Winery. 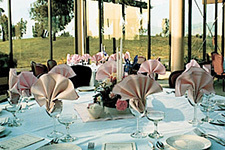 The property features several indoor and outdoor meeting facilities which can accommodate groups of 10 – 2000. 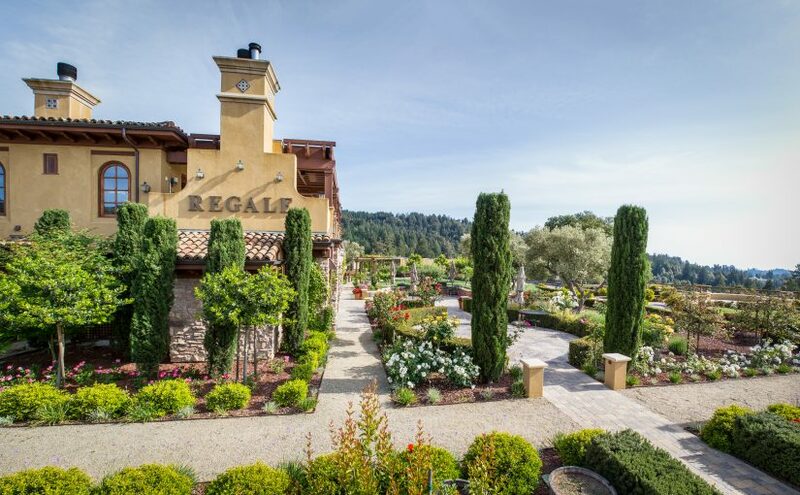 Wine tasting, historical tours, and Chef for a Day are just a few of the creative in-house activities that the venue offers. 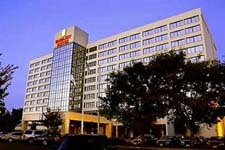 The hotel has 2,260 sq. ft. of total meeting space with the largest meeting room at 1,000 sq. ft. 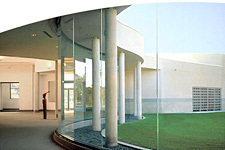 The intimate, yet architecturally stunning museum with seven-acre sculpture garden is the height of elegance for your catered receptions. 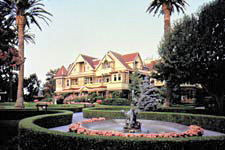 Private Party and Catering Information The Winchester Mansion is the perfect setting for meetings, seminars, luncheons, dinners, and receptions. Whether it’s a group of 30 or 1,500, our experienced staff will assist you in planning your activity. Contact the Group Sales Department.